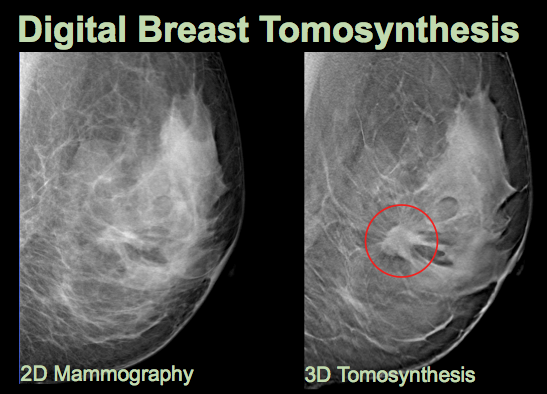 I first heard about 3-D mammography during a dinner party, when a friend announced that she’d been diagnosed with early-stage breast cancer (actually, she’d been diagnosed with ductal carcinoma in situ [DCIS], which is not technically cancer). If it weren’t for this amazing new mammogram, she told us, her cancer might still be growing undetected. Then she proceeded to tell every woman at the table to make sure they opted for a 3-D mammogram. The 75-year-old woman sitting next me said she was going in for her mammogram the following week and absolutely would (never mind that current guidelines don’t recommend routine screening mammograms for women older than 74). The problem is that there are risks associated with the technology (yes, Virginia, even mammograms can be risky). For instance, women still have to undergo the 2-D mammogram to get the 3-D mammogram, doubling their radiation exposure. We also don’t know which women are most likely to benefit from the 3-D screening, so for now it’s being sold to everyone. A large study comparing the two for widespread screening found that of the 59 cancers found in 57 women, both mammograms found 39, but the combined 2-D/3-D found an additional 20. In addition, there were about half as many false positives in the combination. However, we don’t know if detecting those additional cancers reduced the risk of dying from the cancer, an important question required for any screening program. Plus, we have yet to see any large-scale, randomized controlled trials. All of which is why insurance companies like Blue Cross/Blue Shield of North Carolina call the procedure “investigational” and refuse to pay for it, which means women have to fork over an extra $50 to $100. With language like that, what woman wouldn’t whip out her credit card? That’s just what hospitals and imaging centers are relying on. At $700,000 per machine (plus annual service fees) they need to bring in a steady stream of breasts to cover their costs. Hence the massive, direct-to-consumer marketing. Seems someone forgot to tell that to the mammography centers.